Moving is stressful when it’s just you and your junk (speaking from experience) – but how does moving take its toll on your pets? You can bet they’ll be stressed and anxious too, even if they’re not packing or trying to organise a removal company! 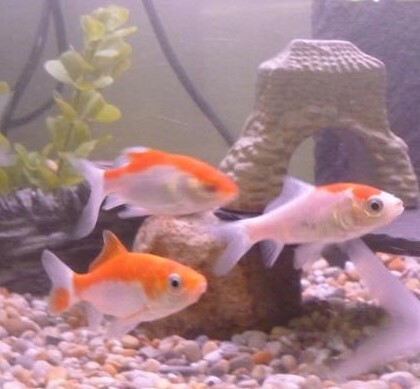 Here are some tips to help your pets cope with moving… part 2: moving with fish. Never move the fish in the tank – always bag the fish. Tanks are not built to be moved loaded with water, and the pressure can easily crack a tank – which would result in loss of fish as well as water (and potentially glass) everywhere! Fill the bag 1/3 with water, and leave 2/3 air. This ensures plenty of oxygen for your fish in transit. Ensure to either use a rounded fish bag; or if it’s a bag that hasn’t been rounded at the bottom, turn the bag inside-out and don’t poke the corners out. This will stop your fish (especially small ones) getting stuck in the corners and becoming stressed (and potentially dying). Ensure to not over-crowd the bags. The size of the bag and the size of the fish will determine how many fish you put in each bag. Take into consideration the bag being filled 1/3 with water, and the length of the journey, when determining how many fish to put into each bag. Transport your bags of fish in a solid container, and ensure the bag is tightly closed (tied and/or with elastic bands). A polystyrene box/container, or a cardboard box (lined with a towel (was how I did it)) is good to keep the bags upright and insulated. Do not pack the bags in too tightly – use multiple containers if need be, and fill any space with a towel or something similar. The bags should sit comfortably in the container, but not be too loose that they may not stay upright. Placing a cover around/ over the bags to make it darker for your fish will help them not to stress too much. 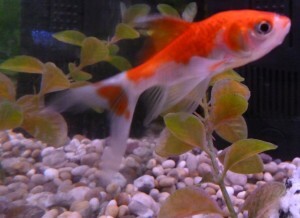 Starve your fish for 24 hours before the move (this won’t do them any harm). This will reduce the amount of waste on moving day – resulting in less toxins in the reduced space of the moving bag. Stress zyme, or a de-chlorinator containing stress zyme, can be added to the bags once the fish are in – before tying the bag. Stress zyme helps to re-coat the mucus layer covering your fish, which is depleated with stress – thus helping to keep the stress on your fish to a minimum. Ensure to transport your fish as quick as possible – i.e. bag the fish up just before setting off, and set up the tank and put them in it upon arrival. Be sure to set up the tank as a new tank; as you usually would, with de-chlorinated water. Let the bags with the fish sit on top of the water for 15-20 minutes, and then put the fish and the bag water into the tank. Once the fish have been in the tank for 30-60 minutes, feed them. Ensure to turn off all electricals before putting your hands in the water (to remove fish or decor or attachments). Fish are not earthed so you cannot tell if the water is electrified, as it will not affect the fish. The last thing you need on moving day is to be electrocuted by tank water. Empty the tank of water. Transporting a tank full of water may cause the tank to crack/break, rendering it useless. If you want to keep the tank water rather than setting up fresh water upon arrival, put the tank water into buckets/containers and transport this way as opposed to leaving the tank filled. Remove the decor and attachments. Remove and bag up any ornaments – anything fragile you may wish to bubble-wrap. If you have kept boxes that filters/heaters/etc. came in, it may be worth putting the attachments back into their original packaging – and bubble-wrapping anything you feel needs it. I have always left the substrate in the tank before moving, however the journey was no more than 1 hours each time. You may wish to box/ bag up the substrate also. Some people like to remove the filter sponge and transport this in a bag of tank water to ensure the nitrogen cycle isn’t disrupted too much – for the short journey’s I have taken I have not done this, but transported the filter in-tact and boxed up. Ensure to turn off heaters 15-20 minutes before packing them away. This will ensure the heater has cooled down sufficiently to be handled/ packed. Ensure any food and treatments you have for your fish are packed away properly to avoid leakage. Ensure you have food and de-chlorinator in date. Moving is also a good time to check dates on things. Be sure to bin any out of date foodstuffs and treatments rather than taking up space packing these. Ensure anything that you bin, that is a necessity, is replaced A.S.A.P. Check food and the de-chlorinator before you move as you will need these on the day. Comet Goldfish – my dissertation Goldfish that moved 4 times! Alternatively, if you have aren’t moving too far you can always leave the fish with a (competent) friend for a few days around moving day; or look online for a local establishment that can do this for you.